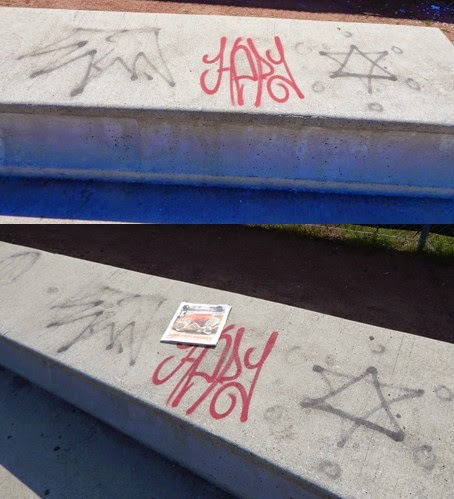 Left: Photo of graffiti submitted to the city for removal on July 16. Right: Same location with today's Redeye included for timing validation. The city says the graffiti was removed on July 22. 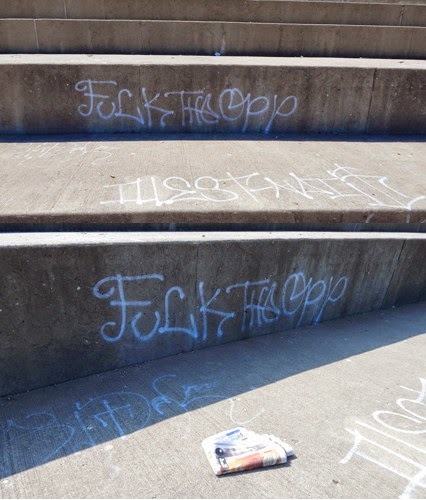 One month ago, CWB told you about large swaths of gang graffiti that have been plastered on the lakefront seawall near 3700 N. Recreation Drive. The tags are a couple hundred yards from the parking lot where two men were shot in a gang confrontation on July 6. 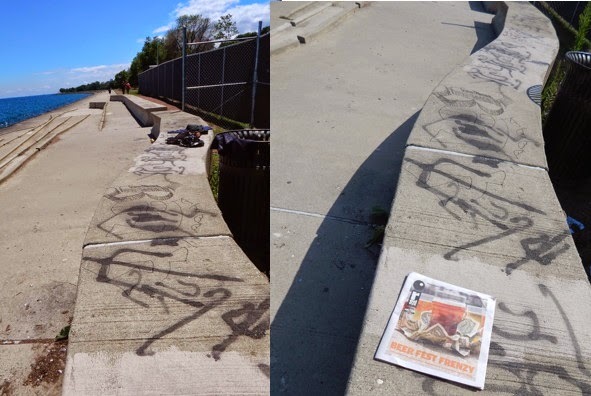 We reported the markings to the city on the day of our report and the city's Data Portal says the graffiti removal was completed on July 22nd. None of the graffiti has been removed. In fact, there are even more gang tags now than before. and the same spot today (bottom). We sent Streets and Sanitation a message about the discrepancy on August 8 and emailed Alderman James Cappleman's office, too. Neither responded. Of course, it's easy to get those response times down if you click "completed" on tasks that were never actually performed.